Hosted by award-winning researcher Dr Anita Collins, this podcast series draws on international research, to explain how singing can help your child develop language, become more empathetic and increase the connection between you and your baby. 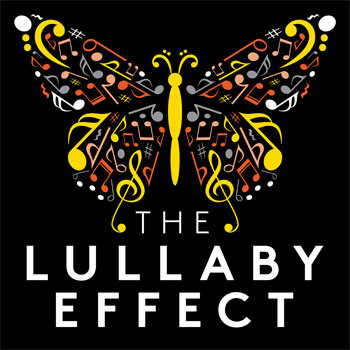 The Lullaby Effect is a seven episode podcast featuring Dr.Collins in conjunction with Kinderling Kids Radio, delving into the science behind lullabies, encouraging parents and carers from all walks of life to throw aside their inhibitions and sing to their kids! Dr.Collins walks parents through the processes and benefits of singing lullabies in each episode of The Lullaby Effect, from emotionally connecting to your child, regulating stress levels in both bub, mum and dad, plus the impact singing can have on lessening the symptoms of post-natal depression. To hear more about this fascinating research, listen to the podcast series, -The Lullaby Effect' via the Kinderling app, or wherever you get your podcasts or visit www.kinderling.com.au/lullaby for more information on the array of lullaby content available on Kinderling Kids Radio throughout July. Question: What inspired the podcast, The Lullaby Effect? Dr Anita Collins: The inspiration was to find a way to find a way to get this intriguing research to parents in a way that was engaging. The collaboration with Shevonne Hunt at Kinderling was really a meeting of a love of the simplicity of singing to our children and how some persistent myths were stopping parents from doing what feels natural. Question: What is typically involved in a podcast from The Lullaby Effect? 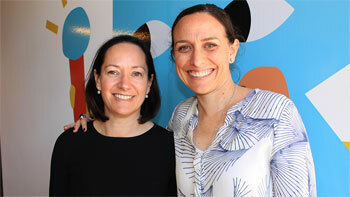 Dr Anita Collins: Our process was to come up with some themes and then write a rough script. But we found on the recording day we just went with the flow to see what felt and sounded best. Question: Can you share with us the benefits of singing? Dr Anita Collins: This list is very long but in a nutshell it helps with connection between parent and child, to help babies to start of understand the melody and rhythm of language, to recognise emotions, to teach their bodies how to move with intention and control, to help a child feel empathy and become helpful. Question: How does singing increase the connection between baby and parent? Dr Anita Collins: This is being researched right now but the thinking at the moment is that the very direct line between music and our emotions means we quickly feel very close to people when we hear them sing or sing with them, babies ears are taking in a great deal of information about their world and if telling them who everyone is even before they can focus their eyes on them it is about familiarity, safety and love. Question: What advice do you have for parents who are too shy to sing? Dr Anita Collins: Start with humming and do it when no one but your baby can hear you. Watch their reactions, remember Bub only has a very short attention span, enjoy how their reactions can change as you change your voice and explore the relationship between you both that is connected by your voice in song. Question: What impact can singing have on the symptoms of post-natal depression? Dr Anita Collins: Research found that mother reported a lessening of their symptoms which then allowed them to both seek help and use different strategies and therapies more effectively. Question: What topics are covered in the seven episode podcast? Dr Anita Collins: 'Rockstar Parents"
'The Building Blocks of Language"